Similar to last year's entry, the game will ship with a selection of 40 songs that you can groove along to using game controllers or (PlayStation 4 and Xbox One versions only) using the Just Dance App on iOS and Android devices. Local co-op will be supported in a number of songs, with the number of dancers ranging between two and four for the Xbox 360, Wii, Wii U, and Switch versions, and up to six for the PlayStation 4 and Xbox One versions thanks to that previously mentioned app. The Kids Mode will be making its return as well so parents you can enjoy busting out some dance moves with your kiddos. 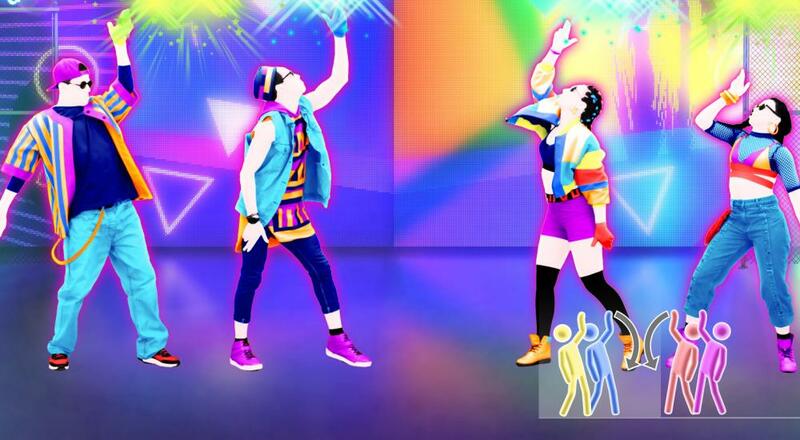 The PlayStation 4, Xbox One, Nintendo Switch, and Wii U versions will also include one month free access to "Just Dance Unlimited", which is a subscription-based service that provides you with a catalog of 400+ songs to stream and dance to in the game. Just Dance 2019 will be available on the Xbox 360, Nintendo Wii, Nintendo Wii U, Nintendo Switch, Xbox One, and PlayStation 4 on October 23, 2018. Page created in 1.4172 seconds.